There seems to be a massive wave of home remodeling in Wayne, PA. 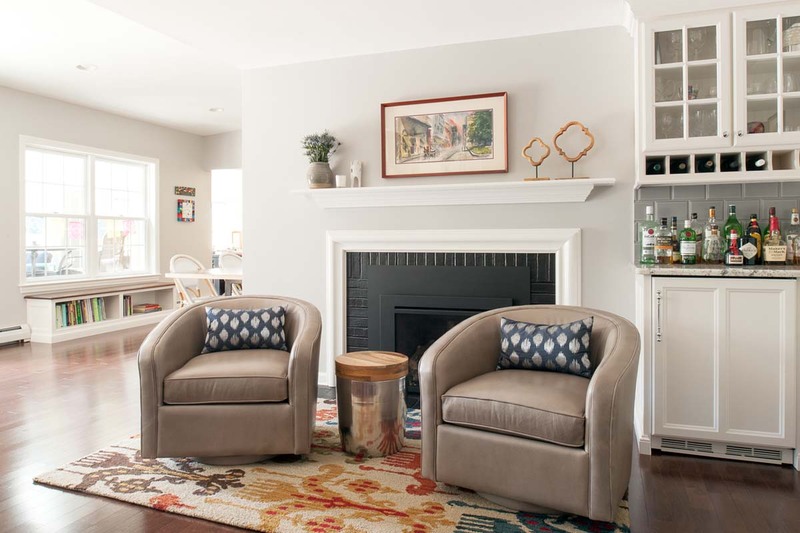 Many homes, which look like unassuming ranches from the outside, are being renovated and added to with great care and sensitivity, to accommodate their owners’ desire for spaciousness, openness, and flow. 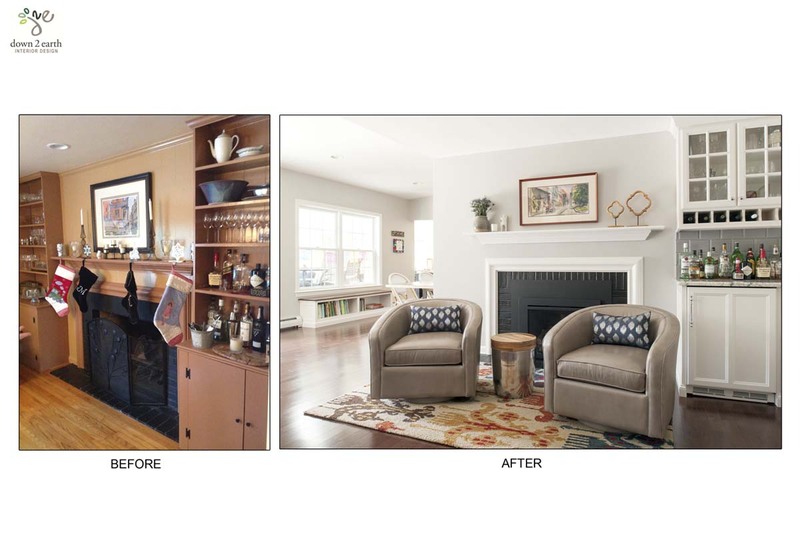 Down2Earth Interior Design had the privilege of providing interior design services for one such home. 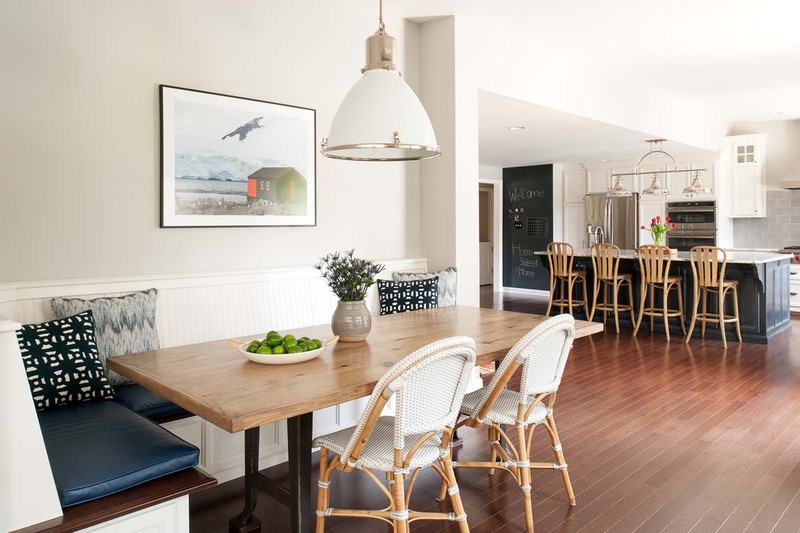 The most remarkable transformation took place in the kitchen, which was created from a combination of the old dining room, the old kitchen, and a small addition. The new open space contains a giant work area, a separate breakfast nook, and a cozy sitting area and bar near the fireplace. 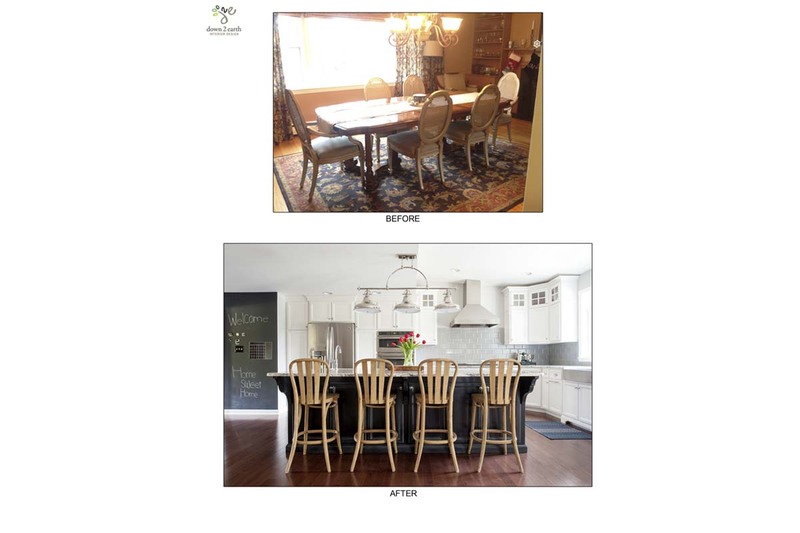 Down2Earth Interior Design helped the owner determine the ideal layout for the kitchen to maximize efficiency of the work area. We shopped with the owner to choose all the kitchen finishes and furnishings. 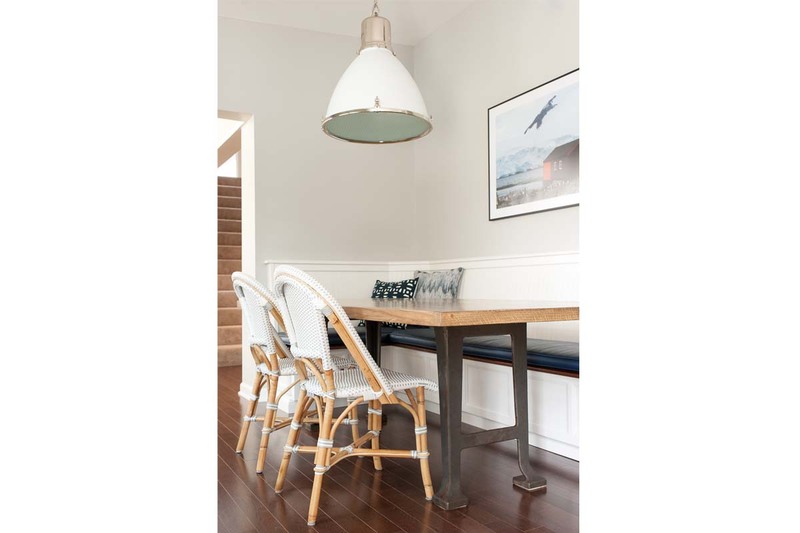 One of our favorite elements is the custom-designed table made out of reclaimed wood and factory trestles. 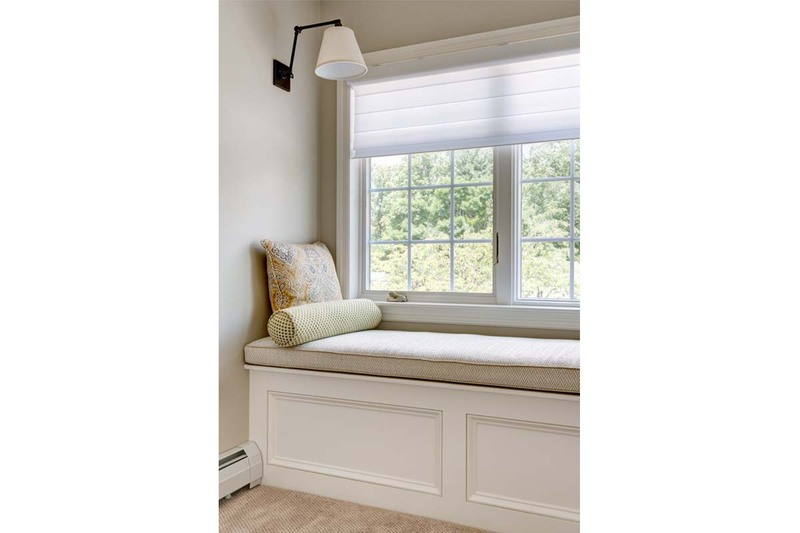 It is situated in front of a custom designed banquette (that contains storage beneath) with wipable fabrics that can be easily cleaned if kids make a bit of a mess. 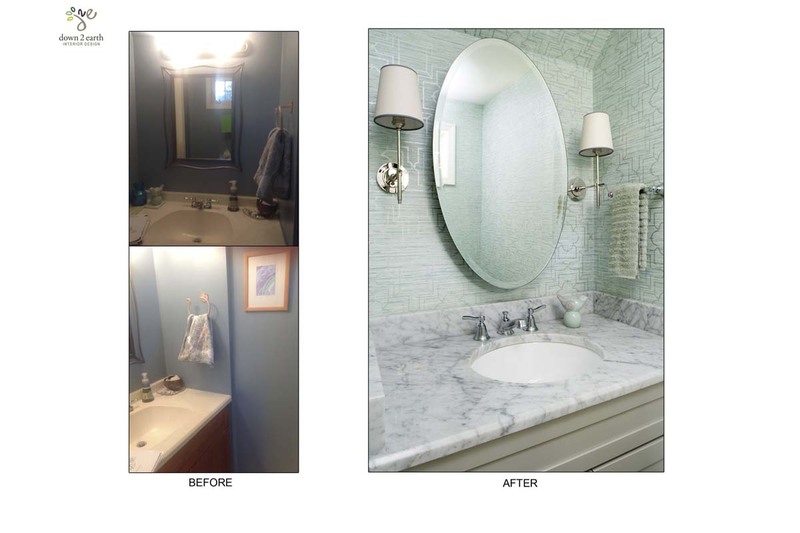 We had the opportunity to work on bathrooms and corridors throughout the house as well. With the major transformations happening in the kitchen, we were careful to conserve elements where we could in the bathrooms. 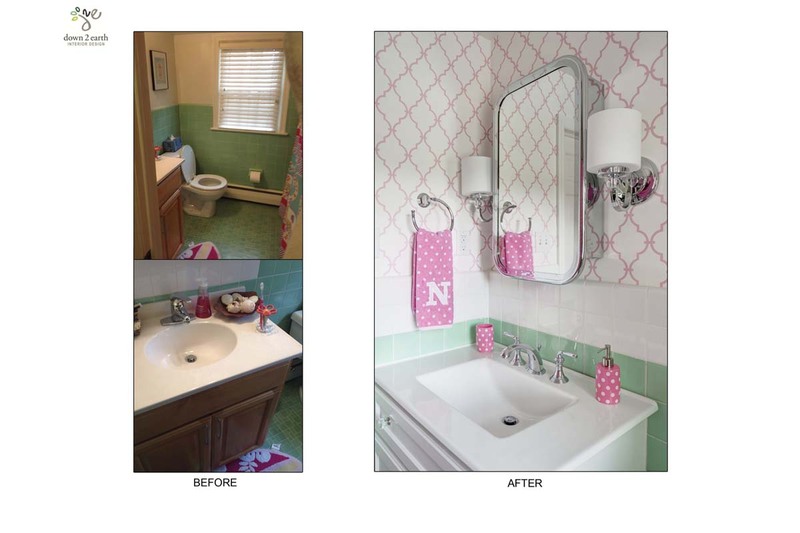 Our aim was to give the bathroom interior designs an updated look but reuse elements that were still functional. 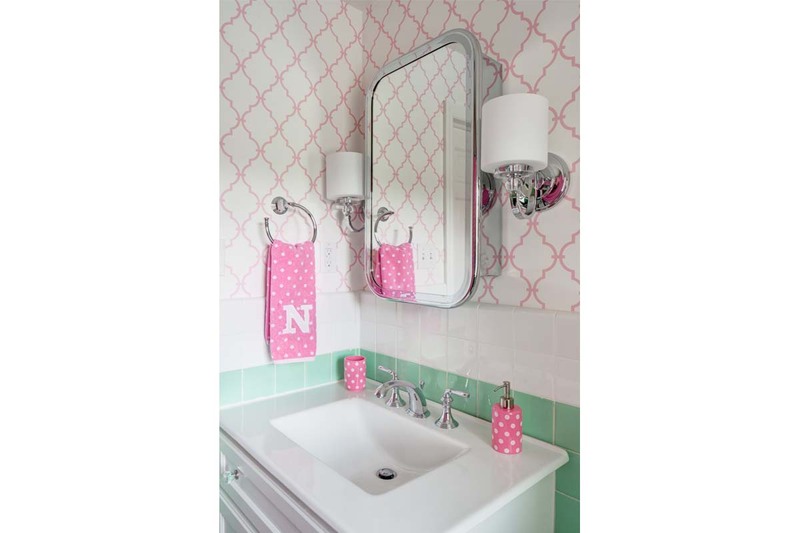 As such, we embraced the green and white tile in the girl’s bathroom, mixing it with fresh pink and white patterns and vintage fixtures for a youthful and fresh look that references the bathroom’s history. 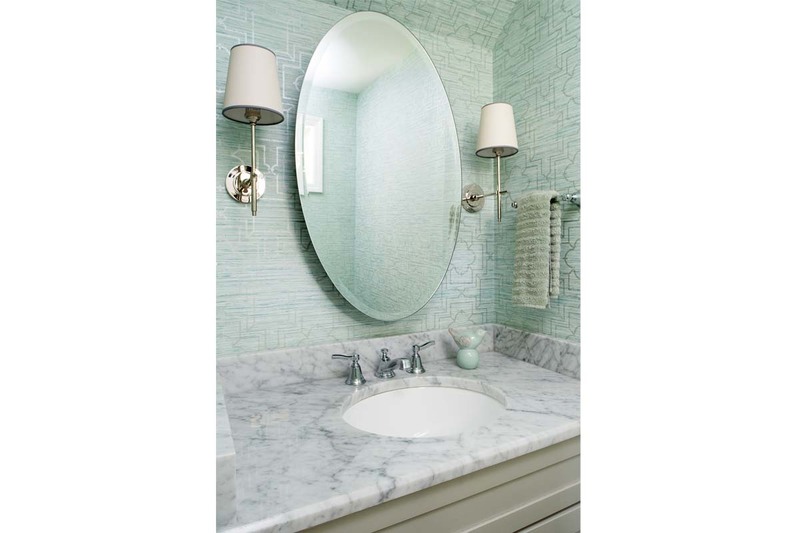 In the powder room, a new coat of paint on the existing vanity, along with a new marble top, new fixtures, and elegant wallpaper transform the little jewelbox of a space.